Hitman 47 - Hit or Miss? 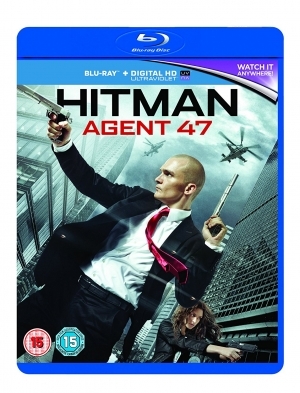 As a fan of the Game Hitman - OSGR thought it would check out Hitman Agent 47 - even after the mixed reviews of the 2007 Hitman film based on the popular game. Old Sci-fi Geeks thought it may be pertinent to sit down and view the last offering. So with a glass of vino and a comfy sofa OSGR sat down to an evening in front of the cathode tube. Although this is not a purely Sci-fi film, the feeling of an enhanced killer agent did perk the geek interest (well Terminator is Sci-fi). The premiss of this instalment initially was simple, an enhanced assassin was targeting a mark who did not know they were being hunted. Initial thoughts were that this film had the similar feel to the original (a bit like Marathon and Snickers). The opening darkness of the film's setting, whilst attempting to be atmospheric, hindered the initial bond to the main character Katia (Hannah Ware). The introduction of Zachery Quinto is a bit of a genius stroke in this film. As the film introduces him as John Smith, his class of acting starts to bring depth and feeling to the film from characters introduction (although I couldn't help thinking of Spock, it must be his delivery). As a protector of Katia, Quinto quickly brings the film together in the first 15 minutes he is in it. Yes he's shot quickly, therefore not allowing us to form attachment to his character. The film reveals that Katia has undergone the same enhancements as our red tied super assassin Agent 47 (Rupert Friend), and like Rey in The Force Awakens, Katia has to seek her inner force and develop her skills quickly - or be sucked into an aircraft engine (nice twist). From here the film accelerates Katia's rebirth. The film's aircraft factory sequence is quite magnificent in the ways 47 finds to dispatch the troops trying to kill him one by one. This is where we are introduced to the one aspect of the film that sets it apart from the original. The game sequences, yes the film achieves the migration of the games action to the big screen better than the original. The reintroduction of John Smith (Quinto) identifies why we are not allowed to become attached to his character - yes he's the bad guy (with armour plated skin - a bit Terminator-esk). Those of us who have played hitman will start to notice more nods to the video game. Katia avoiding the cameras in the airport is reminiscent of the hours spent playing the game whilst resisting the urge to launch the controller each time the camera caught you and your mission failed. It has to be said that the film has more coherence than the first. Once the viewer has overcome the initial attachment disorder felt with the characters, the storyline begins to shape. 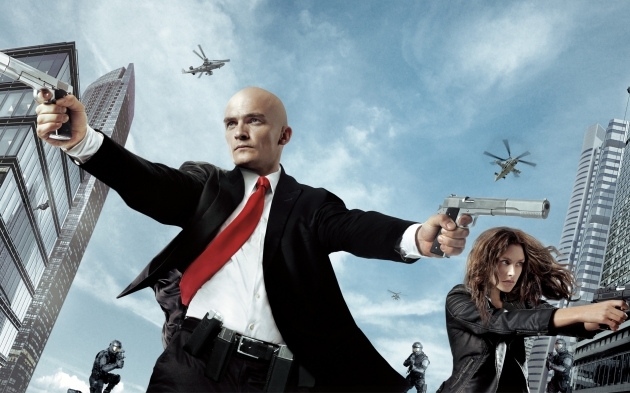 It's easy to reflect why there was no passion for the lead character Katia or Agent 47. Quite frankly they are devoid of humanity and the viewer not forming an attachment is part of the films intent. Throughout the film, it's a mystery on how they keep finding them? There arehighlights I.e, the a lovely red Audi R7 is introduced, with a chase scene that's creative in its inception and ending (being pinned by steel wire harpoons was an inventive twist). It's interesting where all the ninja like soldiers keep coming from, however they are despatched proficiently in Agent 47s iconic manner (the 2 gun arms outstretched really displays some of the special moves of the games character). In conclusion the film does have a certain charm. Unlike PC Mag OSGR feel that the feel of the game did translate well into film. Why? Well those that have played hitman know that in the beginning its a very frustrating experience, but, when you get the hang of it it's quite enjoyable. Well Hitman Agent 47 is like that, even when you are enjoying it there are niggles of frustration and the end remains open to a sequel. So like the game Hitman, Agent 47 is frustrating at times, difficult in the beginning but packed with some good action sequences. Like the game it feels disjointed at times and leaves you with questions throughout - like how did they keep finding them!! (Well that was kind of answered at the end but it's a subtlety that was only obvious on reflection). Well it ain't no classic but it deserves a 6 out of 10 Geek Points. Nice action but clunky storyline - Geek Out.